Scott loves to drive, so my jobs are to generally plan the route, pretend to be able to read a map, find stops along the way and look up interesting facts about the area. I usually take a few involuntary naps as well. After driving from Glenwood Springs to Denver, meeting the kids for dinner along the way (it is impressive how far a college student will drive for a free meal) and a frantic rush-hour drive to DIA, we flew to Sacramento. We arrived pretty late, rented a car, drove to Auburn and hit the sack, anxious for the road trip to begin the next morning. The view from Donner Lake Overview. Enroute to Truckee on I80, we were winding our way up a mountain highway lined with giant pine trees before we knew it. We got off the interstate at Soda Springs and made our way along the Highway 40 Scenic Bypass to the Donner Lake Overview. 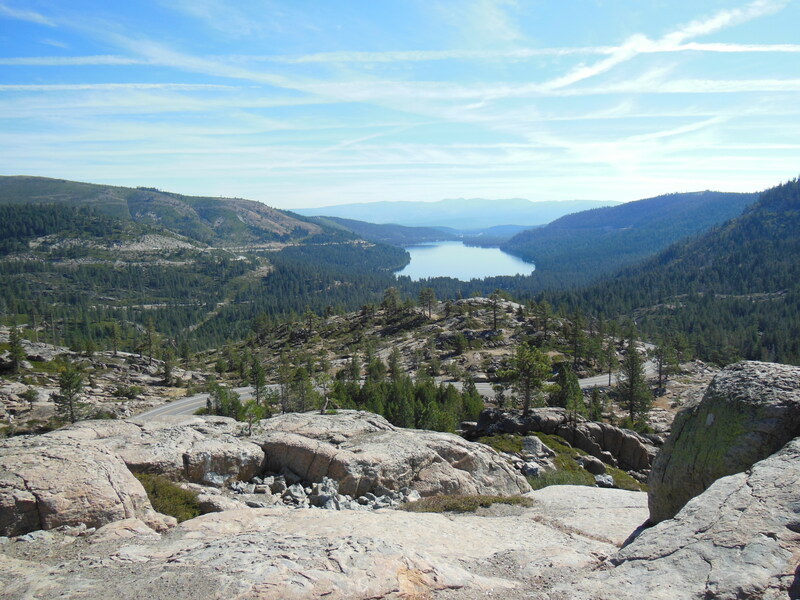 The views are incredible and we were hoping to stop at the Pioneer Monument at Donner Memorial State Park in Truckee, but the entrance was under construction. Next time, hopefully! Mt. Shasta from the Volcanic Scenic Legacy Byway. The Volcanic Scenic Legacy Byway is a 500-mile journey from Lake Almanor, near Lassen Volcanic National Park in California, to Crater Lake National park in Oregon. We were lucky to be able to include part of this byway in our trip and it’s definitely on our list of places to revisit. The views of Mt. 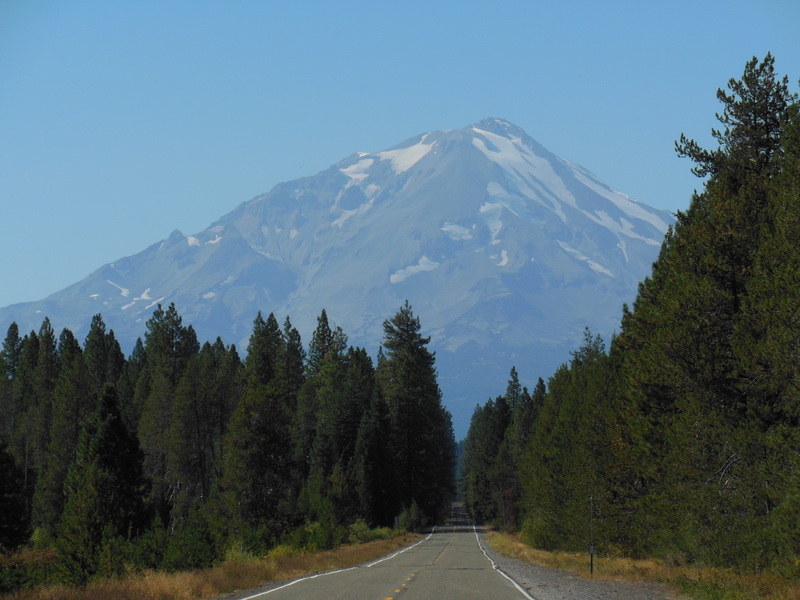 Shasta as you drive through the Shasta Trinity National Forest are quite spectacular. The last part of this day’s driving was on Interstate 5, which allows you to drive a little faster but still provides great scenery. 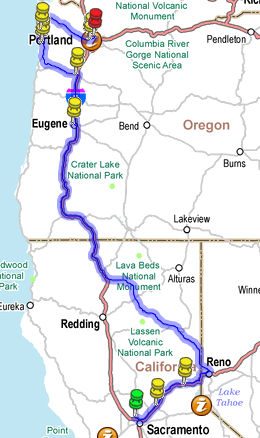 My job as chief-looker-upper-of-facts continued as we passed into Oregon, through Medford, Grants Pass, Cottage Grove and into Eugene. The history of the Rogue Valley can keep you very entertained at the end of a long day’s drive. AAA was a big help in planning the route, finding stops along the way and saving on our lodging. One of these finds was the Hop Valley Brewing Company in Springfield. A cold beer (or two) and bacon beer cheese soup sure hit the spot. I tried the IPA, which was a little heavy for me. I had a second one just to confirm that opinion and no longer order IPAs. I’m more of a lager and pilsner gal. We stayed at the Hilton Garden Inn and our room was large, clean, nicely appointed and comfy. 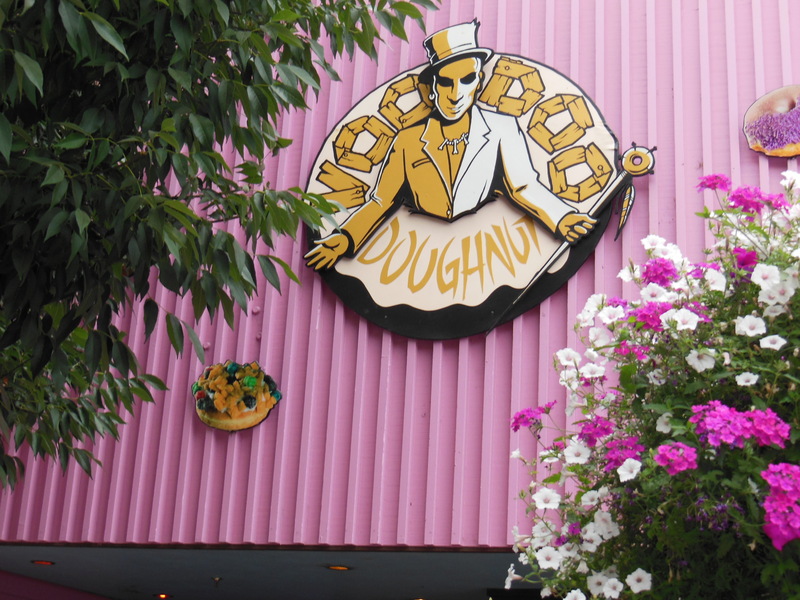 Our day started at Voodoo Doughnuts. I’m now a huge fan, as much for the quirky sense of humor as for the doughnuts. I’m thrilled to hear that there’s one planned for Denver. Next up: the Honeywood Winery tasting room in Salem, because what’s a vacation without a doughnut and a wine tasting before lunch? The Dog Gone Wines are clever, with names like Pomeranian Pomegranate and Retriever Riesling, and a portion of the proceeds benefit local animal shelters. 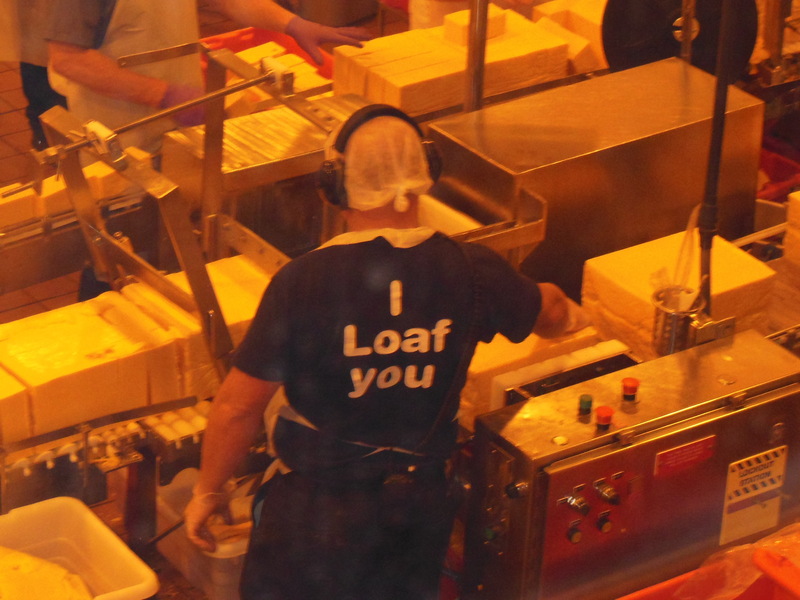 Cheesy humor at the Tillamook Cheese Factory. How do you top doughnuts and wine? With cheese and ice cream, of course. After a stroll along the beach in Oceanside, we continued on to cheese heaven. The folks at the Tillamook Cheese Factory know their cheese and they know how to make the factory tour a lot of fun. The cheese tasting line directs you to the store, where we picked up some cheddar, pepper jack and, my favorite, squeaky cheese. The checkout lines lead you right to the Tillamook Ice Creamery. Oh, mama. I can’t even imagine how many calories we’d consumed, but we were too hyped up on sugar and dairy to care. Driving up the coast, we stopped at the Pirate’s Cove Restaurant in Garibaldi for a late lunch. The restaurant is perched right above the shore, so you can watch seals play and seagulls dive as the boats sail by. The clam chowder here was the best I’ve ever had. And I’ve had a lot of clam chowder. I also had fried clam. Not fried clams, as I was expecting. It was a single, large clam. A little on the chewy side. Next time, I’ll just get two bowls of the chowder. 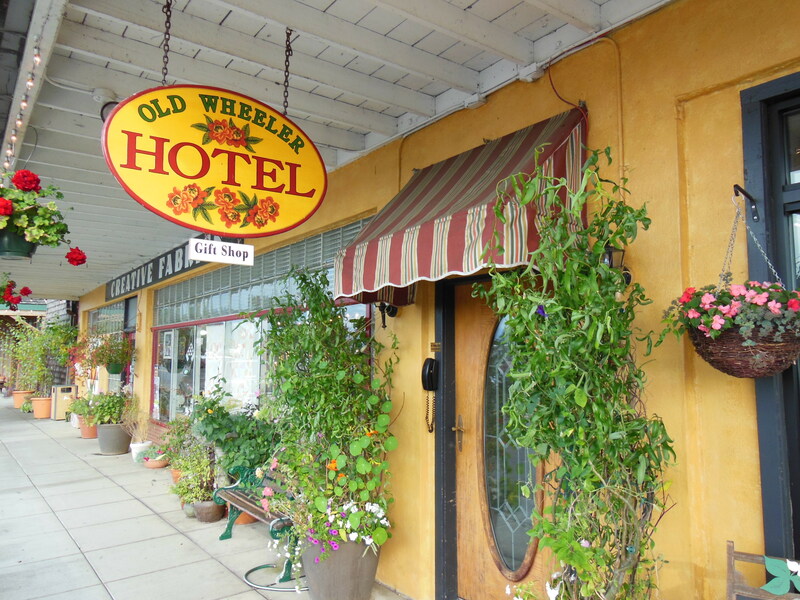 Wheeler is a small coastal town, population 350, and might not have been our destination if not for the Old Wheeler Hotel. 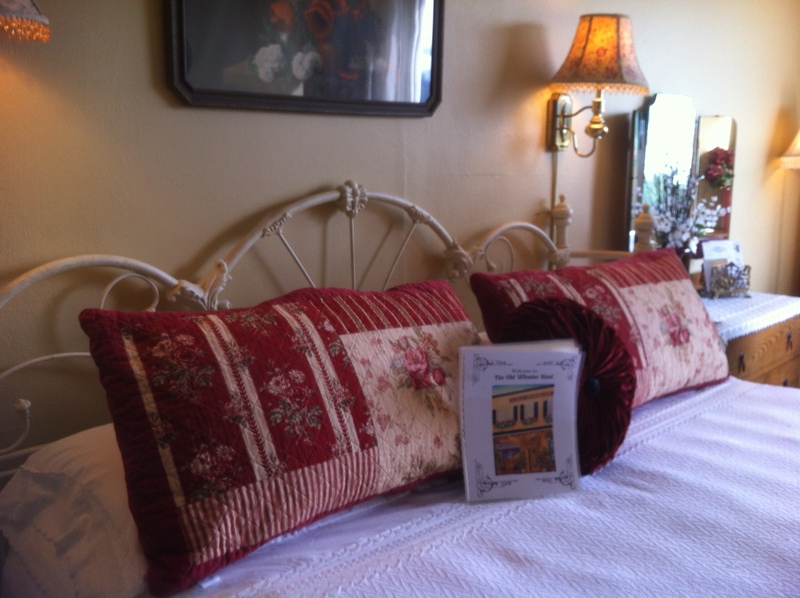 Originally built in 1920, the lovingly restored B&B offers stunning views of Nehalem Bay. According to the website, “You can snuggle up and be pampered in one of our beautifully appointed rooms with sumptuous bed linens, thick towels, and antique furniture.” They aren’t kidding. Our room, which had a “Welcome Amanda and Scott” sign posted on the door, featured a king-sized iron bed, an armoir, a red velvet sofa under the windows that looked out over the bay, and a large bathroom with a clawfoot tub, separate shower and very nice toiletries. We walked around the town a bit, exploring a line of antique shops and taking a stroll out on the dock across the street. For dinner, we enjoyed the spoils of the day: Honeywood wine, Tillamook cheese, summer sausage and crackers, with Tillamook caramels for dessert. We toured the hotel and visited all of the rooms that weren’t occupied. That naturally landed me in the gift shop, where I picked up one of the wonderfully fragrant candles that were in all of the rooms and a print of the hotel to frame when we got home. The Handy Creek Bakery is just a couple of doors down from the hotel. They were out of the cinnamon bread that they normally use for French toast, so they sliced up cinnamon rolls and made that into French toast for us. 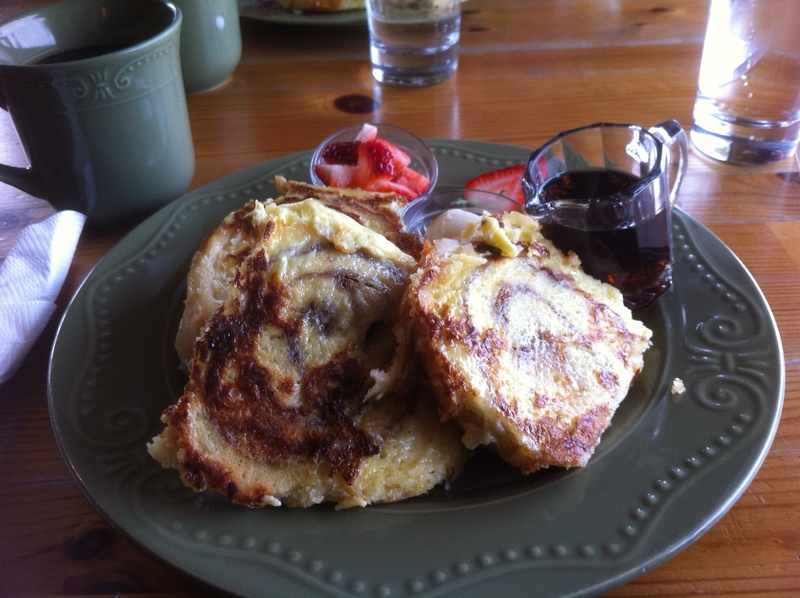 I’m going to repeat that so you’ll remember it: cinnamon roll French toast. You should definitely make some and then invite me over. I’d suggest a double batch just to be safe. Arcadia Beach was on our route to Portland, so we stopped and took a nice long walk on the beach. Got our toes in the sand, stretched our legs, breathed in the salty air and enjoyed the sounds of the waves crashing against the beach. We made it to Portland pretty quickly, which was good because I had a lot of things on our agenda for the day. Our first stop was the Japanese Gardens. What a treat! It’s so peaceful and beautiful, you forget there’s a city just down the hill. I thoroughly enjoyed our time there. It’s located above the equally beautiful rose gardens in Washington Park, and you could easily spend a whole day there. 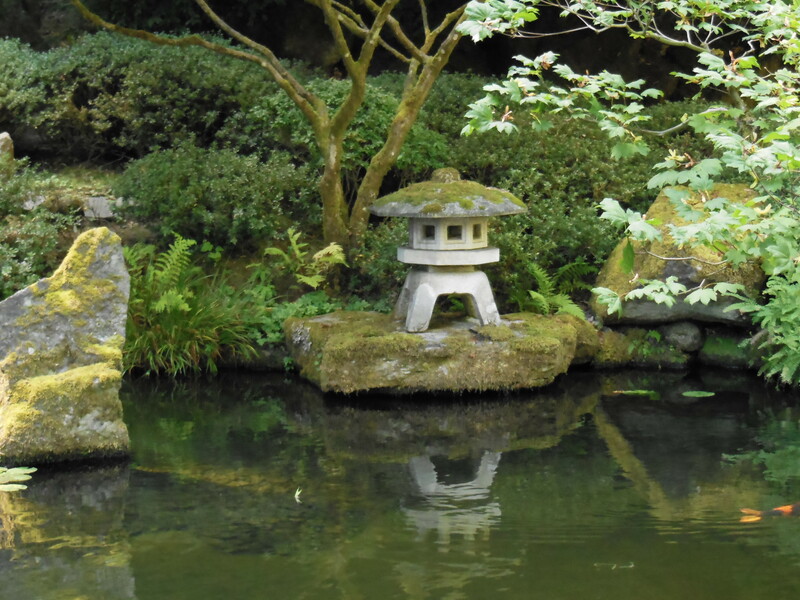 The Japanese Gardens in Portland. 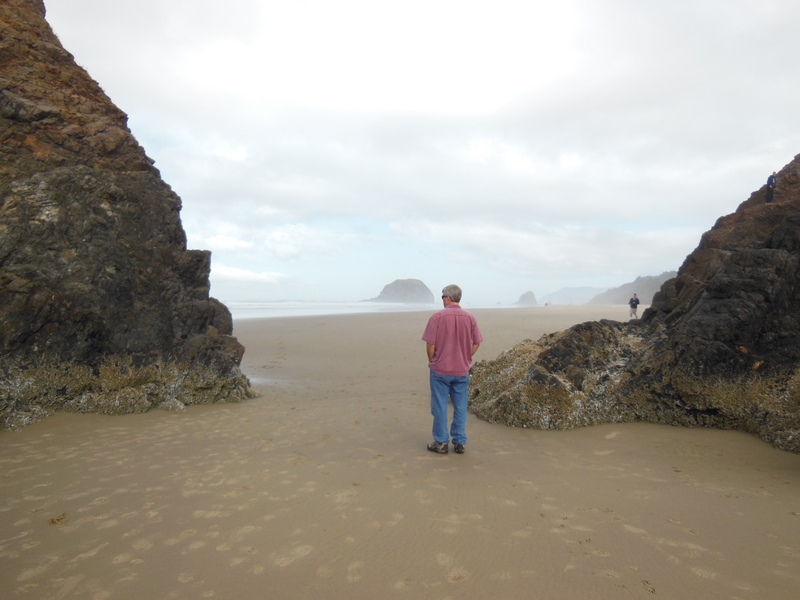 The rest of the day’s adventures beckoned, though. We headed to the Pearl District to check in at The Mark Spencer Hotel. The location was what originally attracted me to this hotel, and it turned out to be just what I’d hoped for. We were within walking distance of everything else on our list for the day. Originally opened as the Nortonia Hotel in 1907, it was remodeled and given its current name in 1966. The rooms all feature fully equipped kitchenettes, nice linens and comfortable beds. The age of the building showed a little in the hallways and bathrooms, which were clean but dated. A free afternoon wine reception made up for that though! Lunchtime was at hand, so we walked to Henry’s Tavern. There’s a bar with 100 beers on tap and a frost-top ring to keep your drink ice-cold, and a full-service restaurant. We picked the bar so that we could watch a game on the huge TV. I found a regional beer more to my liking, Henry Weinhard’s Private Reserve Lager, and fell in love with the cheddar beer soup, which is made with Tillamook cheese. Next stop: Powell’s City of Books. It’s the largest new and used bookstore in the world. Scott had to drag me out of there after an hour of wandering and shopping. I love that the new and used books are together on the shelf so that you can see all of your options for a particular book in one spot. Favorite purchases: “The Pun Also Rises,” which was too punny to resist, and “Notes from a Small Island” by Bill Bryson, one of my favorite authors. He’s laugh-out-loud funny. My cousin and his wife live in the area and had recommended Jake’s Famous Crawfish Seafood Restaurant, and I’m sure glad they did. 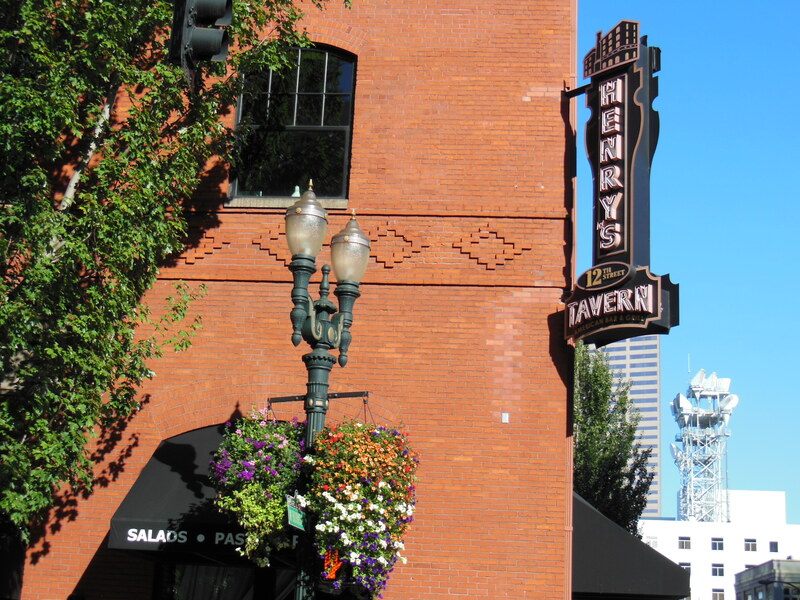 It’s been a Portland landmark since 1892 and is a popular place, so be sure and make reservations. I had Pacific salmon stuffed with crab meat; it was the seafood highlight of the trip and the perfect ending to a wonderful day. Our route, courtesy of AAA.